Gyeongju Wolseong is shaped like a crescent so it was also called Shinwolseong, but from the Choseon Dynasty it has been called Banwolseong, meaning Half-moon Fortress. It is historical site no. 16. 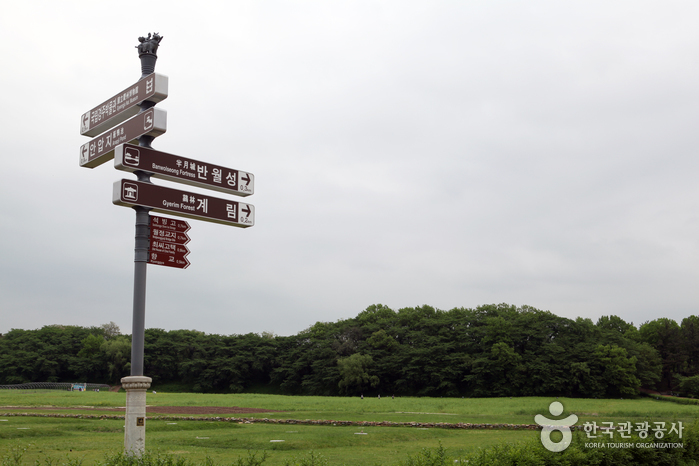 The Silla palace used be located inside the fortress, and Seokbinggo, which was used as a refrigerator in the Choseon Dynasty, is also within Banwolseong. 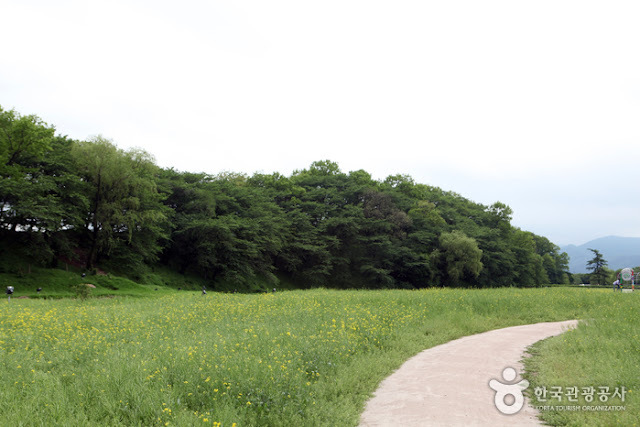 A canola field surrounds Banwolseong and tall tree make a forest around the fortress walls. Walking around the fortress you can understand why the palace was built here. Before the fortress was built, a person called Hogong used to live here, but when Talhae was young he tricked Hogong out of this land. 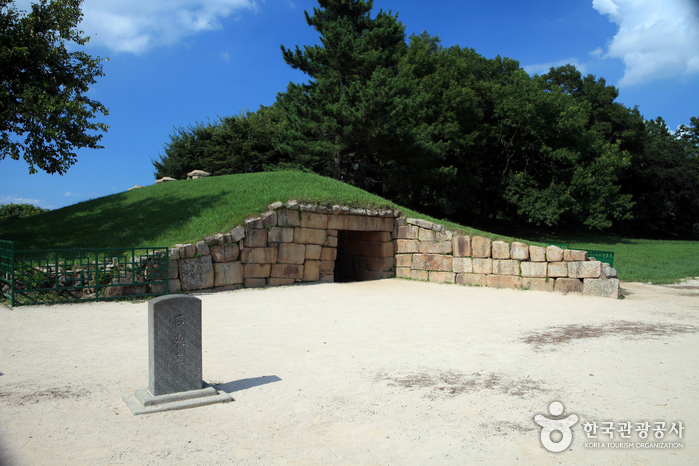 There was a legend that King Namhae heard this story and made Talhae his son-in-law, so Talhae became the fourth king of Silla. The east of Banwolseong connects to Imhaejeon and Anapji, and the north connects to Cheomseongdae and to the south Namcheon (Nam Stream) provides protection. t is difficult to envisage this as a palace now, but it has become a beautiful cherry tree forest. It is a great place for a walk.